Our ATP Traveler of the Month for November 2015 is Madelein Krugell. Madelein is a make-up artist and hair stylist in the film and theatre industry in South Africa. She has done international tours with various iconic musicals such “CATS”, “Phantom of the Opera”, and “Sound of Music” since 2001, When away on tours, she says “the only way to get around, see new places and make new friends is by ATP’ing”. 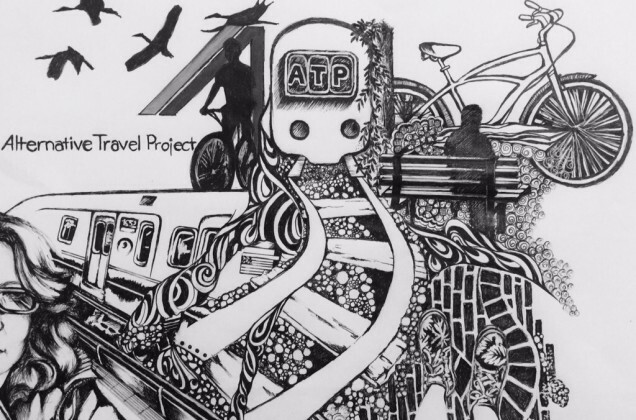 Her passion for drawing combined with her fun ATP experiences around the world paints a unique yet wonderful picture of going car-free wherever she goes. Her artwork is evidence of that and it surely caught our eye.